NORTHFIELD, Ill., April 4, 2019 /PRNewswire/ -- Medline today announced results of a new skin and wound care survey completed in conjunction with Nurse.com that highlights some potentially costly gaps in training and purchasing. With pressure injuries and ulcers contributing to $9.1-$11.6 billion in health care costs per year in the U.S., the survey results underscore the need for hospitals and clinics to properly train and equip nurses in this area. "With shrinking budgets and staff spread thin, facilities need innovative and effective ways to care for today's complex patient," says Amin Setoodeh, RN, senior vice president of skin health and clinical services, Medline. "Empowering frontline staff across the continuum of care is the first critical step to make sure the body's largest organ isn't overlooked." After working closely with clinicians to understand the challenges they face, Medline designed the Skin Health Solutions program to empower them with knowledge, intuitive products and best practice guidance. Education is customized and rooted in creating a culture of prevention through onsite learning, an online resource center and a comprehensive training program to make it easier to train co-workers. "We strive to take pressure off of relying heavily on the select number of nurses specialized in wound, ostomy and continence at each facility," adds Setoodeh. "Our holistic program is designed to simplify skin care by providing customized tools that are functional and intuitive to ultimately drive lasting impact within an organization through standardization." 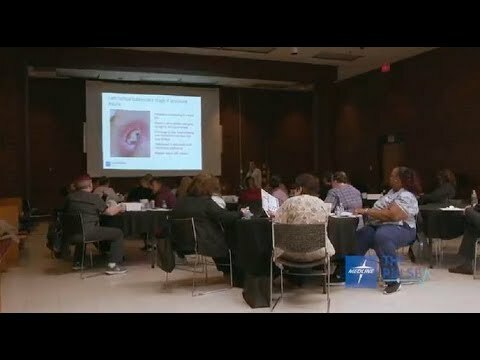 See how New York-based Upstate Services Group is working with Medline to customize education to promote best practices at https://www.youtube.com/watch?v=WA6lyg_Vwq0&feature=youtu.be. Learn about Medline's Skin Health Solutions Program at https://www.medline.com/pages/clinical-expertise/skin-health/. Medline is a healthcare business that improves the operating performance of healthcare systems and providers by delivering customized solutions for clinical programs, medical supplies and supply chain and financial solutions. Headquartered in Northfield, Ill., the company strategically supports nearly a third of the largest healthcare systems in the United States and also works with providers across the continuum of care to achieve both clinical and financial success. With the size of one of the country's largest companies and the agility of a family-owned business, Medline's more than 20,000 employees provide a customized approach to each healthcare provider enabled by this agility at scale. Learn more about Medline at www.medline.com.